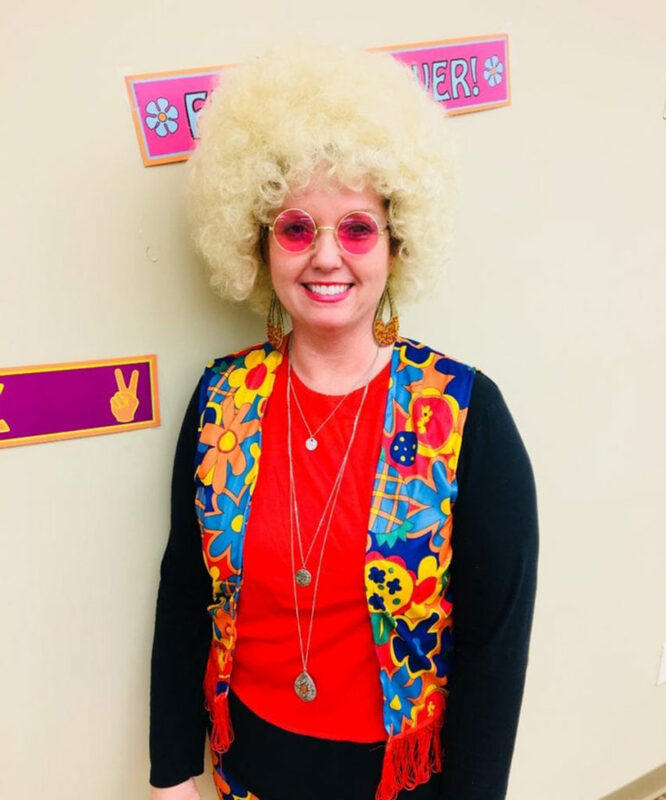 Halloween 2018 - Strate Insurance Group, Inc. Sometimes it’s nice to relax and have a little fun in the office! 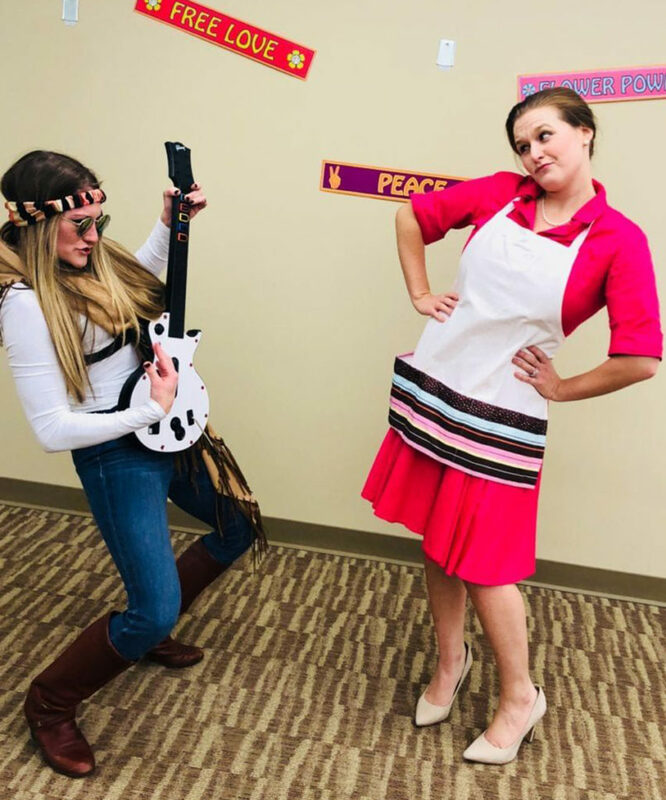 This year, we decorated and dressed like characters from the 1960s! Take a look at some pictures of our costumes. We hope you had a fun and safe Halloween, too! “Katherine Cleaver” and “Rebecca Hendrix” face off! 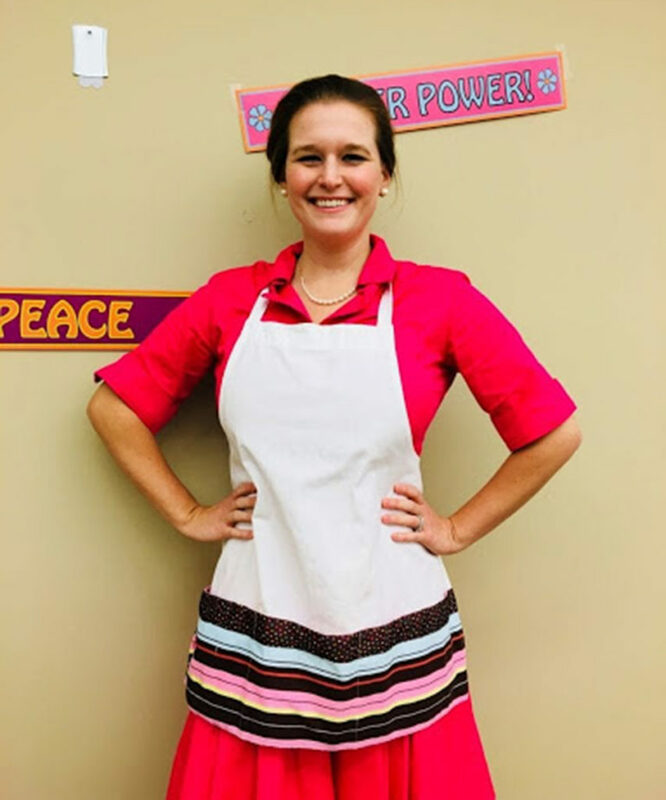 Katherine dressed like a June Cleaver 1960s housewife. 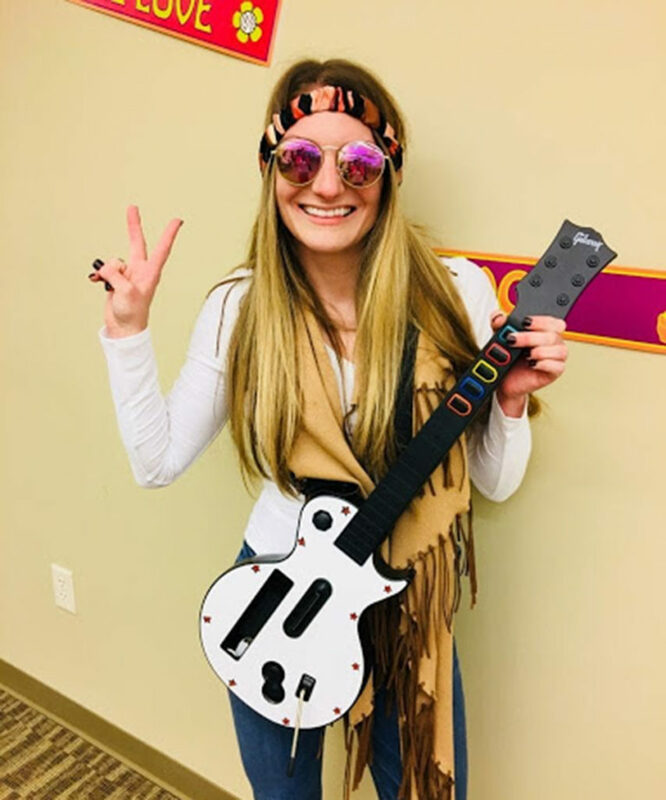 Peace, love, and rock n’ roll says Rebecca! 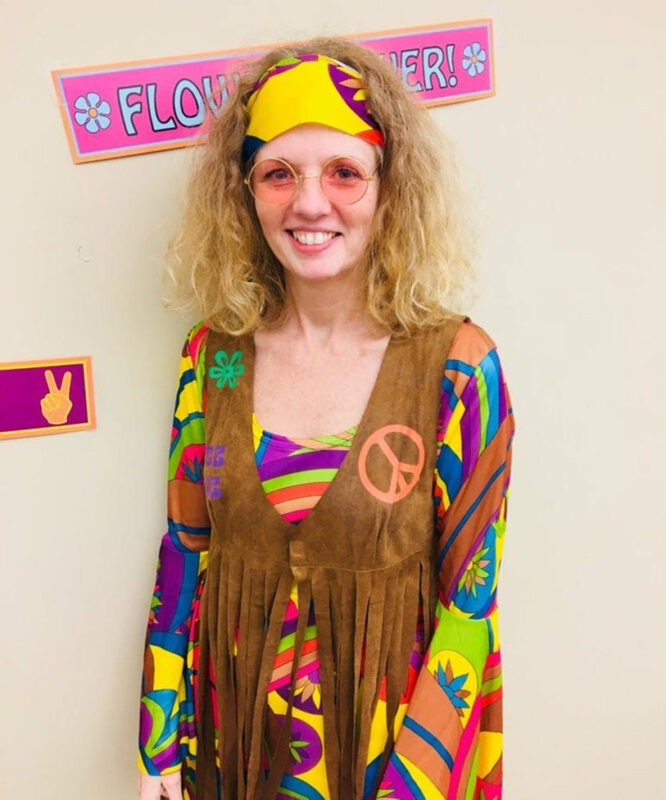 Brandi went all out with her hippy gear. Love the ‘fro! 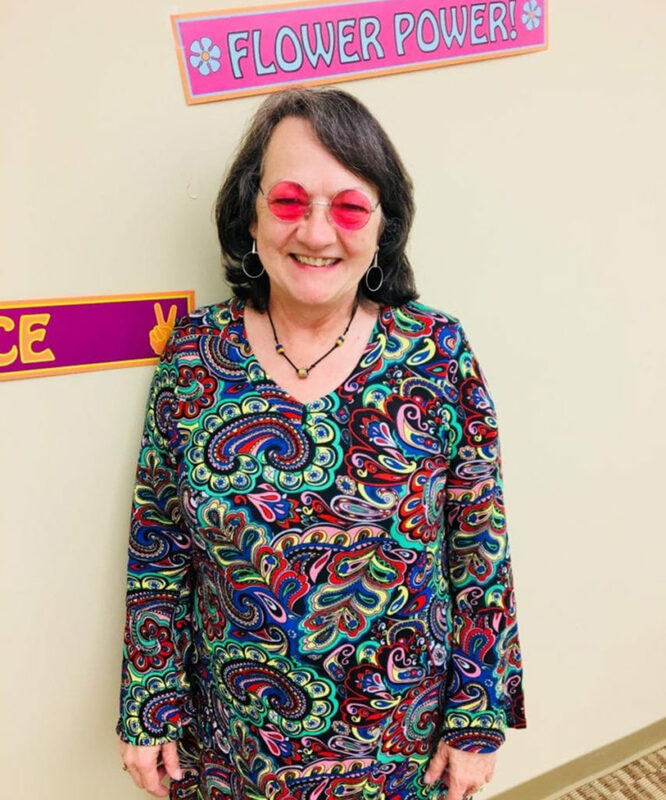 Tammy had a super psychedelic outfit! 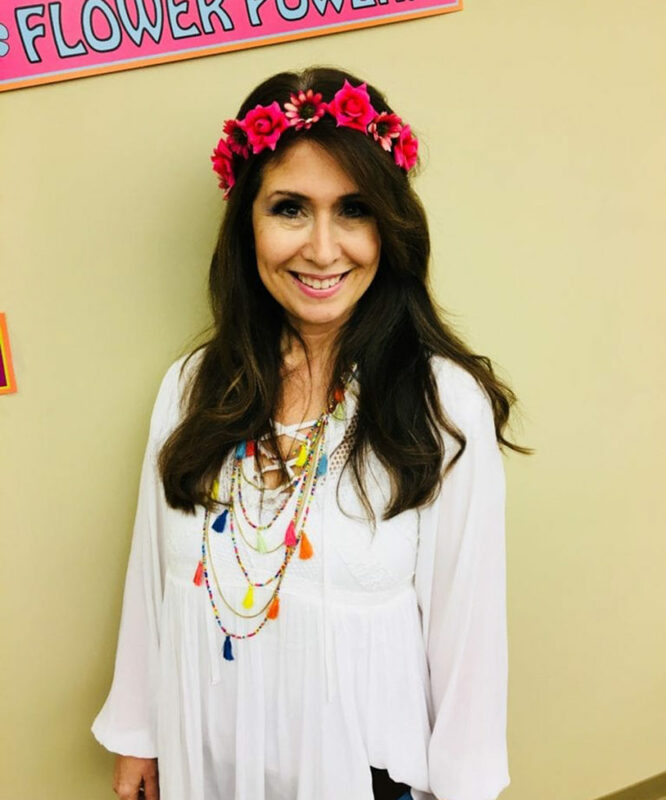 Gloria is our native California flower child! 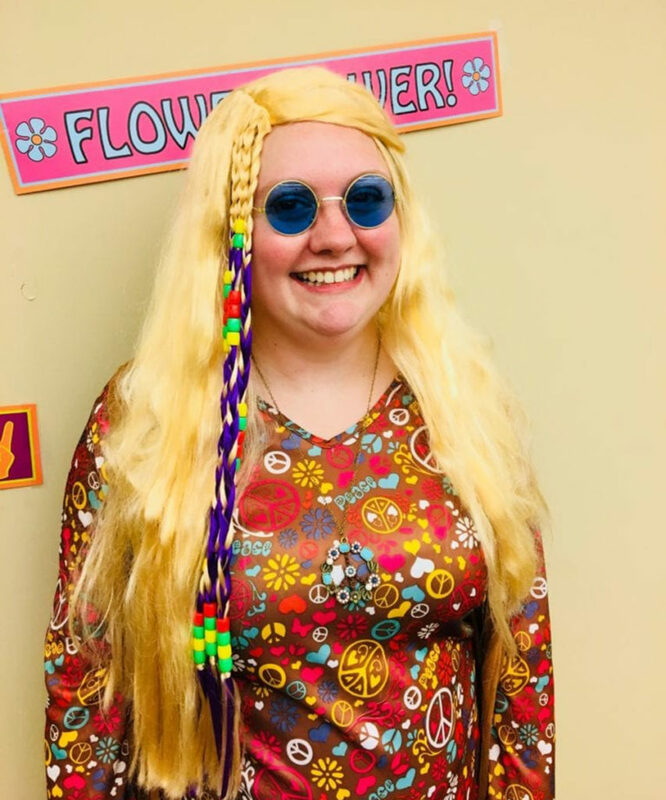 Bethany looks like she’s ready to go to Woodstock!